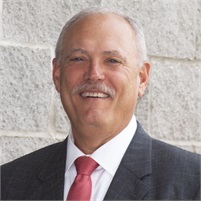 Bob came to the Benson Financial Group family in 2014 after serving in the financial industry since 2001. As Director of Client Services, Bob serves as a client advocate to ensure our team delivers prompt and professional service to our clients. His background in the quality control management field has been instrumental in delivering the skill set needed to fulfill the multiple tasks he manages on a daily basis. Born and raised in St. Louis, MO, Bob’s only time away from Missouri was during his military service from 1975-1979. Bob currently resides in New London, MO, with his wife, Connie. They have three children—Kristen, Lindsay, and Andrew, and 2 grandchildren. Bob and Connie attend The Crossing Church in Hannibal, MO. Bob currently serves on the Mark Twain Area Fellowship of Christian Athletes board of trustees, and with the H.A.Y.S. mentoring program through Hannibal Public Schools. Bob enjoys playing golf, hunting, fishing, working in the yard and spending time with his grandchildren.